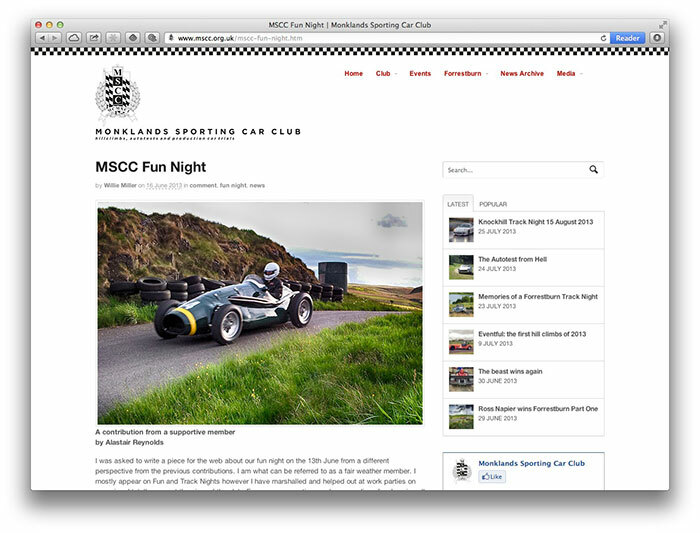 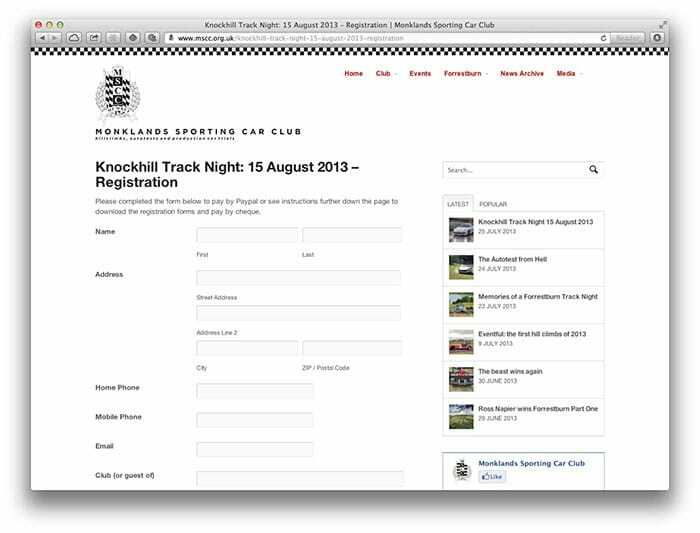 Monklands Sporting Car Club asked for a website that moved them from their previous static non-interactive site to a more dynamic one which embraced social media and provided details of membership, events, results and the purchase of club regalia. 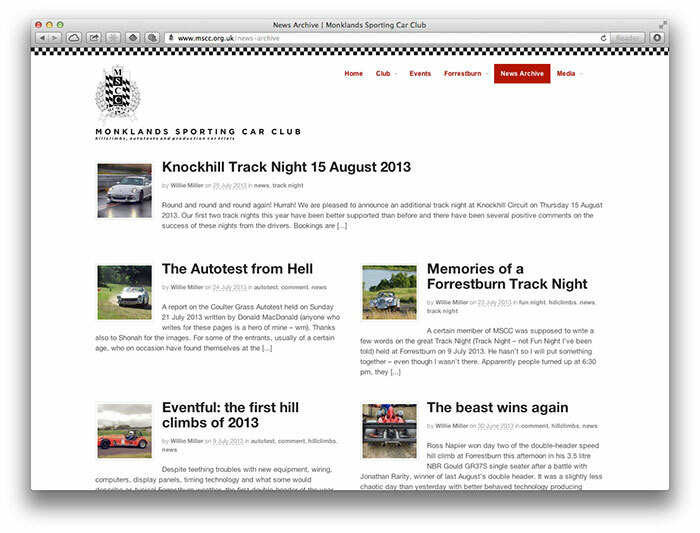 The site has a developed from its original simple design into the first stop place for members seeking information on events. 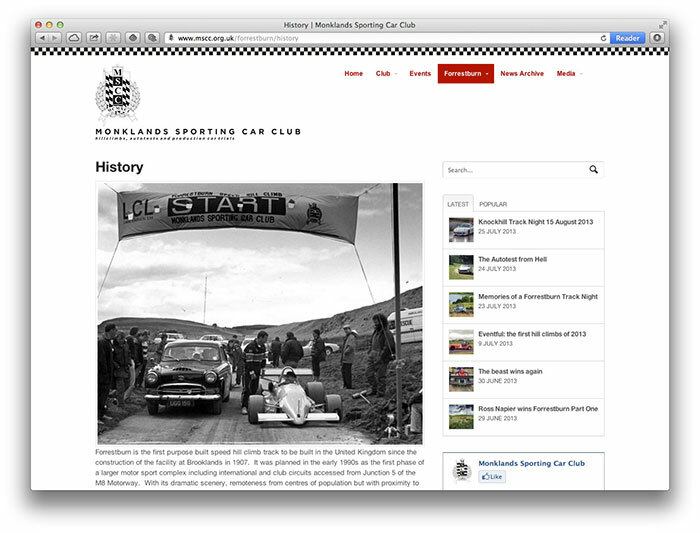 The platform has enabled members to access a wide range of club activities and facilities as well as simplifying updating. 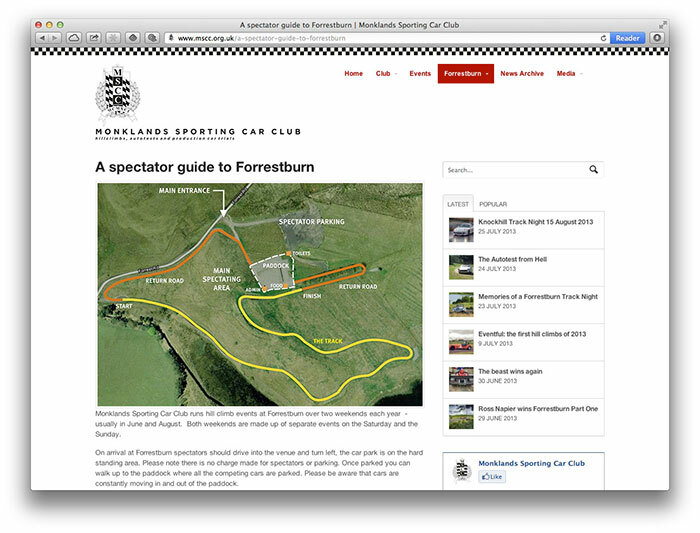 The integration of a Facebook page with the site has resulted in increased between members as well as greatly increased website usage and hits. 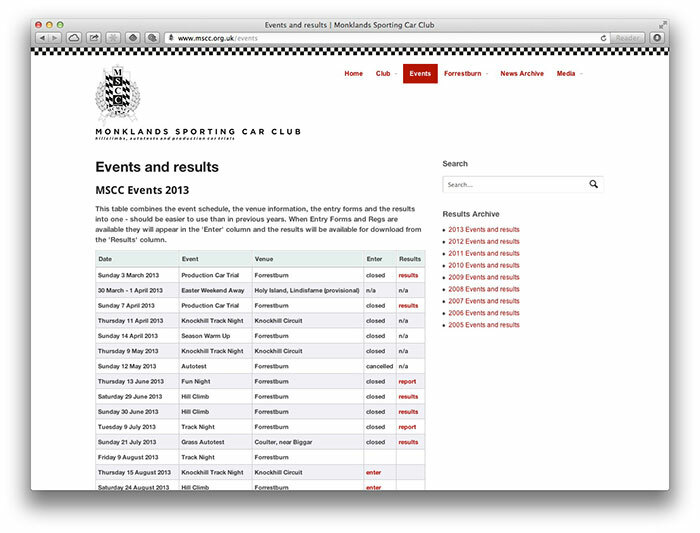 2013 has seen ecommerce widely adopted by the Club for a wide range of events.